Vice-chair of the firm’s Private Equity team and co-chair of the Entrepreneurial and Emerging Companies team, Josh Hollingsworth advises on M&A and corporate finance matters. Josh is an engaged partner with his clients — resolving problems in a practical, balanced manner with a view toward maximizing the long-term value proposition for his clients. Josh’s clients and experience are national and international in scope. An active listener and dedicated team player, Josh’s agility and ability to adapt quickly allow him to represent business clients ranging from startups to public companies and private equity funds. His practice focuses on counseling business owners, outside investors and senior management in connection with the sale and acquisition of businesses and company assets, senior and mezzanine debt financings, equity capital raises, venture, private equity and hedge fund formation, spinoffs and separations, joint ventures, succession planning and commercial contracts. Josh’s breadth of experience allows him to serve as outside general counsel to a number of companies. A consummate “deal guy,” Josh is at his best explaining sophisticated provisions to clients, crafting solutions to complex problems, and successfully closing complicated financing transactions. By taking an active interest in learning about each client’s business and objectives, Josh is able to synthesize high-level issues into straightforward action items that make financial sense for his client’s bottom line and are consistent with their values. 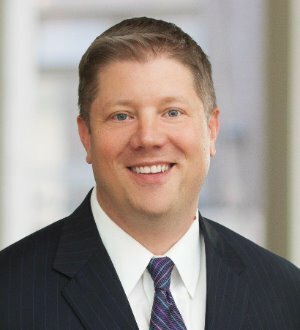 A frequent lecturer on the law and business, Josh, who is administrator of the Corporate Department in the Indianapolis office, has delivered seminars on topics such as counseling the small business client, the ins and outs of limited liability companies, business succession planning, and mergers and acquisitions.